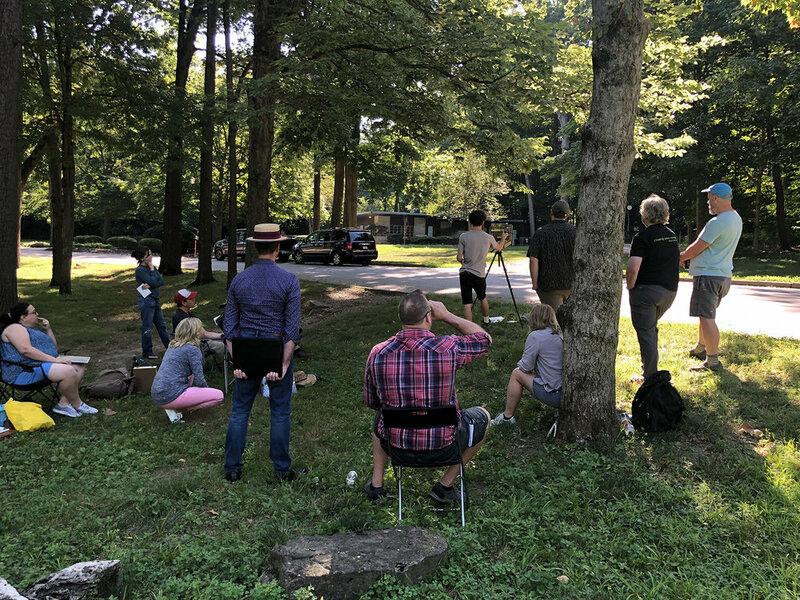 When I found out Tad Retz was driving through Indiana to drop off his paintings for the “In Open Air” exhibit at Butler, I had to ask if he would spend a day teaching me and my friends. If you are not familiar with Tad’s work, he is hands down one of my favorite painters in the country. 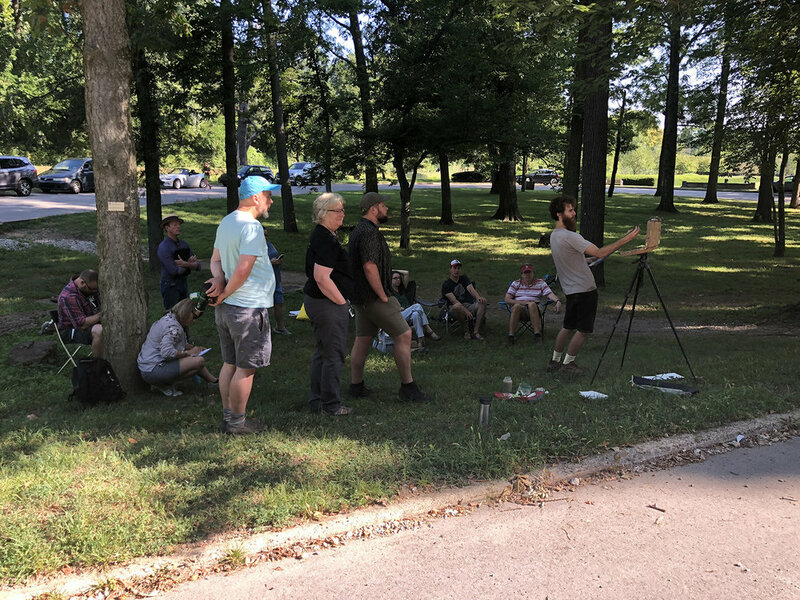 We held the workshop in Holcomb Gardens at Butler University and had a perfect day of learning and painting. It was really cool to see how he built this painting. It started out very abstract and at the end, the smallest marks became ever so important. After the workshop, I gave Tad and his friend Owen a bike tour of our city.